In October the nights are drawing in and the weather is a lot cooler. You may still have some good produce to harvest but many of this year’s crops will have been eaten or preserved for the winter months. It is time to reflect on what grew well and start to plan for future harvests. However, there are still plenty of jobs to do in the fruit and vegetable garden to ensure early crops next year, protect the plants that are still in the ground and improve the soil. October and November are the best times to plant garlic. Garlic requires a cold spell to grow well. Split a bulb into individual cloves and plant them 10cm (4in) deep and 15cm (6in) apart. 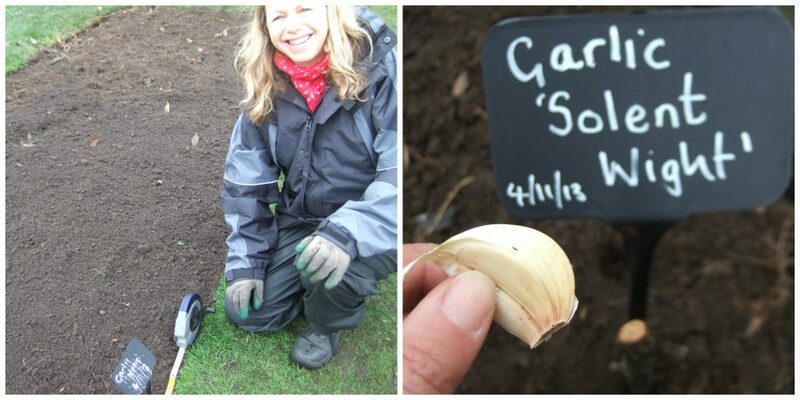 Each clove will grow into a new bulb of garlic by July next year. It is recommended to buy certified garlic from a reputable supplier rather than planting garlic from a supermarket. This is because it is less likely to carry pests and disease and more likely to be a variety that is suitable for growing in Britain. Broad beans and hardy peas can be sow now. 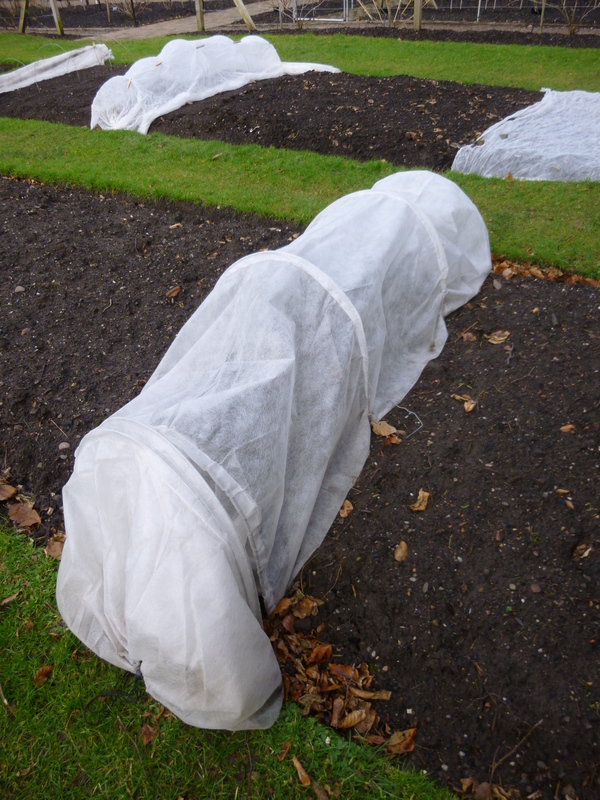 They should germinate quickly and produce small plants that will overwinter. In the spring they will have a head start on spring sown seeds and produce an early crop. Birds and mice can be a problem as they can eat the seeds or young plants. Cold wet soil can cause the beans to rot. To avoid these problems, sow the seed into pots and keep them in an unheated greenhouse or polytunnel. Plant the seedlings into their final position in March. New fruit trees and bushes can be planted from October right through the winter months as long as the soil is not frozen. Choose varieties that are suitable for Scotland. The best way to do this is to observe which trees are growing well in your neighbour’s garden! Most people assume that fruit trees do not need pruning in their early years, however this is not the case. Young plants need careful ‘formative’ pruning to ensure they have a good framework for branches that will bare heavy crops in the future. There are several good pruning books available and plenty of advice on the internet. 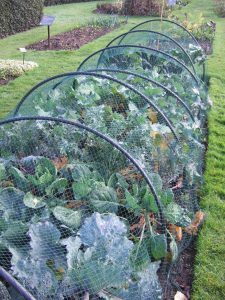 Now is the time to construct cloches to cover crops such as chard and winter salads that are to stay in the ground over the winter. 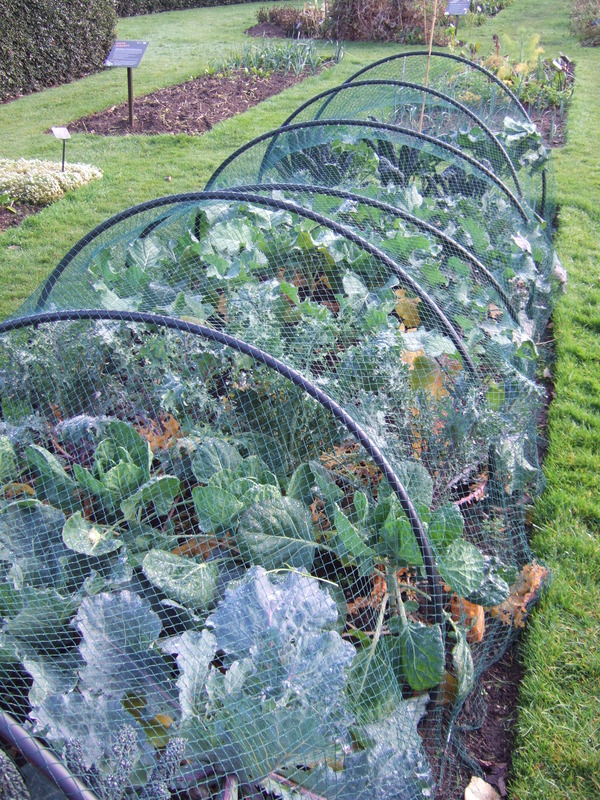 Kale and cabbages will need to be netted to protect them from hungry pigeons. 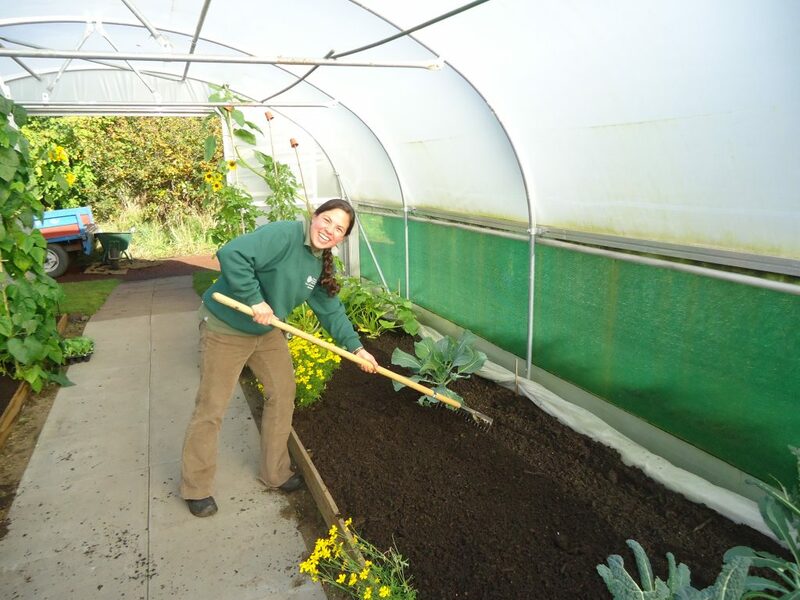 Root crops should be lifted out of the soil and stored in a cool frost free shed if they are to remain in good condition for eating over the winter. Once crops have been removed from the plot it is time to improve the soil. For almost any type of soil the best thing you can do is add well rotted organic matter such as compost or manure. This can either be dug into the soil or applied to the surface as a thick mulch which will help to protect the soil from the worst of the winter weather. During the winter months earthworms will get to work on the organic matter helping to mix it into the soil ready for sowing seeds in the spring.